In January 1919, the Gympie & Widgee District Fallen Soldiers Memorial fund was established. The group discussed the best way to honour the fallen from the Great War and William Henderson on behalf of his family offered the Union Sawmill site bounded by River Road, Reef and Young Streets. After much public debate, the Henderson family donated a further strip of land from Mary to Reef Street to make the site accessible. The park commemorates those from the district who died in service or were killed in action in World War One. As well as the memorial park, gates were also erected in memory of the fallen and the laneway between Mary and Reef Streets is also part of the memorial. The Gympie and Widgee District Fallen Soldier's Memorial Park was handed over to the Gympie Council on the 9th February 1921 and officially opened by Senator Major General Sir Thomas William Glasgow, KCB, CMG, DSO on the 20th April 1921. 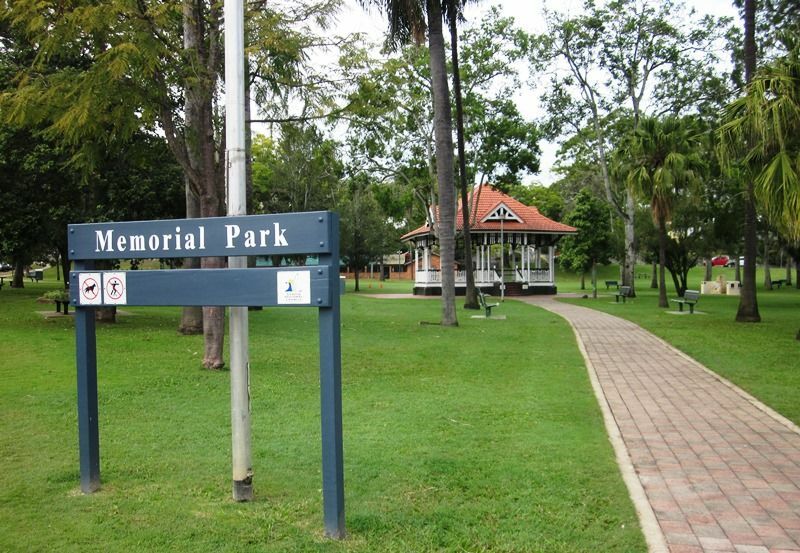 The Gympie and Widgee District Fallen Soldiers Memorial Committee recently wrote to the Brisbane City Council asking that its Park Superintendent should be allowed to visit Gympie for the purpose of advising in connection with the laying out of Memorial Gardens. 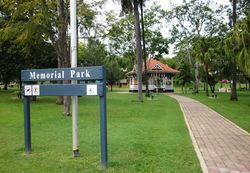 A report from the whole council in committee was submitted to the meeting of the Brisbane City Council, in which it was stated that, as only two or three weekend visits would be necessary, it had been agreed that Mr. Moore's services should be made available, the Gympie Memorial Committee to defray all expenses. In moving the adoption of the report, Alderman Raymond said he thought the City Council was to be congratulated on having a man like Mr. Moore, whose services were in such demand by other councils. The Brisbane Courier (Qld), 15 July 1919.